After using the Burt's Bees Intense Hydration Treatment Mask (review here) I knew I had to try more from the brand. As I kept talking about Burt's Bees and the different products I wanted to try, my parents decided to buy me a Burt's Bees gift set for Christmas. After 7 weeks of using the products, I thought it was now time to let you know my thoughts on the products. Burt's Bees have been offering natural health and beauty products for over 25 years. Their products are not tested on animals and are feel of nasties such as SLS, parabens and petrochemicals. They claim their ingredients right down to the packaging are simple, natural and responsible . 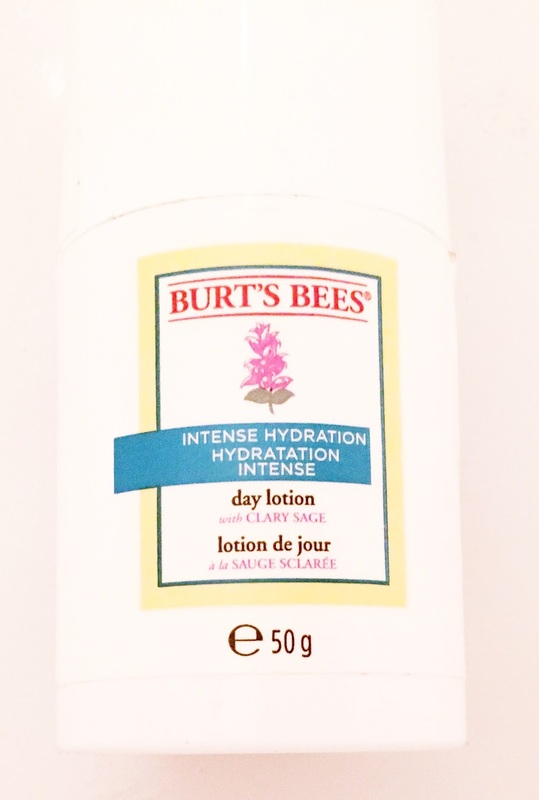 First up is the Burt's Bees Intense Hydration Cream Cleanser. This cleanser is 99% natural and claims to be scientifically proven to remove dirt, oil and make up while leaving the skin feeling soft, supple and hydrated. The cleanser is infused with Clary Sage and I think the scent of it is gorgeous but I can however imagine a few people being slightly put off it at first. The texture is quite thick and feels great on the skin. I apply the cleanser to my damp skin in circular motions before removing it with a muslin cloth. My skin is left feeling super hydrated and clean. This product definitely gets a thumbs up for me. I have even found that I now reach for this more than my usual Liz Earle cleanser. 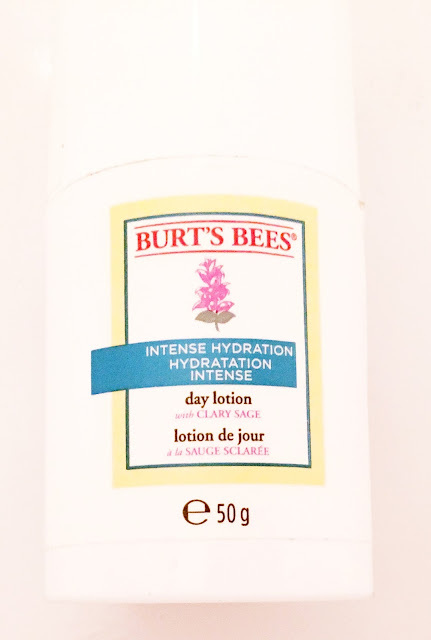 Next is the Burt's Bees Intense Hydration day lotion. This is scientifically proven to provide intense hydration and repair skin from fine lines. This again has the Clary Sage scent to it. The cream has a medium thickness to it and only a small amount is needed to moisturise my whole face. This cream is great most of the time and I have been using this a few days a week, however, when my eczema flares up and leaves my skin very dry and flaky, it just isn't hydrating enough for me. I still love the product however, and will definitely be buying another when I run out. I also have the Burt's Bees Intense Hydration Night Cream. This cream is scientifically proven to provide intense hydration and helps naturally increase your skin's ability to retain moisture. Now this cream is much much more moisturising than the day cream. It is perfect to lather all over your face before bedtime, so you wake up with soft beautiful skin. When my skin is extra dry, I have used this a few times under my make up too. Finally, I have the Burt's Bees Revitalizing Lip Balm with Blueberry and Dark Chocolate. First of all, how amazing does this smell?! I find myself applying it more than I need to, purely to smell how gorgeous it is. The lip balm is 100% natural and really keeps my lips soft and moisturised. 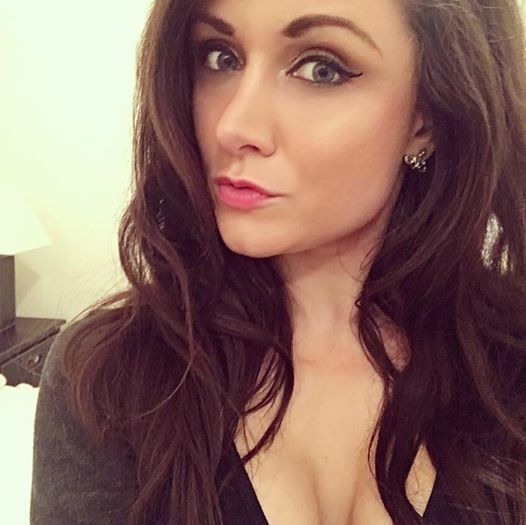 It is perfect to wear under my dry matte lipsticks that I am loving at the moment. All in all, I am a big fan of the Burt's Bees Intense Hydration range. I love how they are so natural and keep my skin moisturised and radiant. Have you used anything from Burt's Bees before? I love Burt's Bees, their body cream and cuticle balm are both lovely! I love Burt's Bees products. Great post. Burt's Bees is amazing. I used to be obsessed with their tinted lip balm <3 thanks so much for sharing! I'm totally obsessed with Burt's Bees lip balm. In fact, I just put some on, haha. I haven't seen this range yet though, but it looks like something I'd totally be interested in! We now finally have Burts Bees in Australia. I remember being so excited to buy something from their range when I went for my first trip to the USA. I think its such a bonus when products that work have non harmful ingredients! Thanks so much for sharing your thoughts on these products with us, Lauren! I've never tried any of Burt's Bee's beauty/facial products before, so this really helped give me an idea of some of the products in the collection. You mentioned having eczema and flare-ups. I just kindly wanted to share what's worked for me in practically ridding myself of it all for the past 1yr 1/2 now. I used to have it really bad and itched until I bled, using prescribed meds from my dermatologist to help with the flare ups. However, when I stopped eating all dairy and meat for about 6mths straight and then gradually brought it back into my diet, only once a week and it's always all natural, grass fed, it all went away. Perhaps you want to give it a try because it did work for me and I know the feeling and the un-comfort that comes with it all, no fun! I hope you have an amazing day, beautiful, and thanks again for sharing! I didn't know this brand, it seems so interesting, since I have a sensitive, dry skin :) Thanks a lot for sharing! I have to say I've honestly never given much thought to Burt's Bees for anything other than chapstick. But you're making me want to buy some. Burts Bees is a range that I've heard of so much but never actually tried!! I have a few Burts Bees products from Christmas that I still haven't tried yet I really need to get round to it, the cleanser sounds lovely too! I always see the Burts Bees products around and think they look great, there is something completely different to them which makes them stand out on the shelf against other products however I haven't ever actually got round to buying any of them myself. After reading your post it has definitely enticed me in a little more.